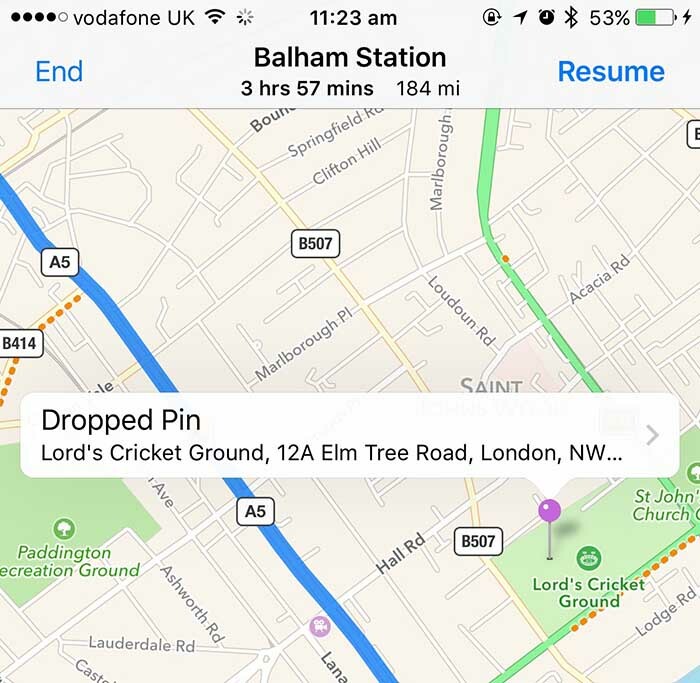 There’s been a resurgence of interest in Apple’s Maps app on iOS over the last few days so what better time to present eight navigation and mapping tricks that aren’t commonly known? How long until I get to my destination? How far is my destination? Alas, these commands don’t seem to work with the Apple Watch. 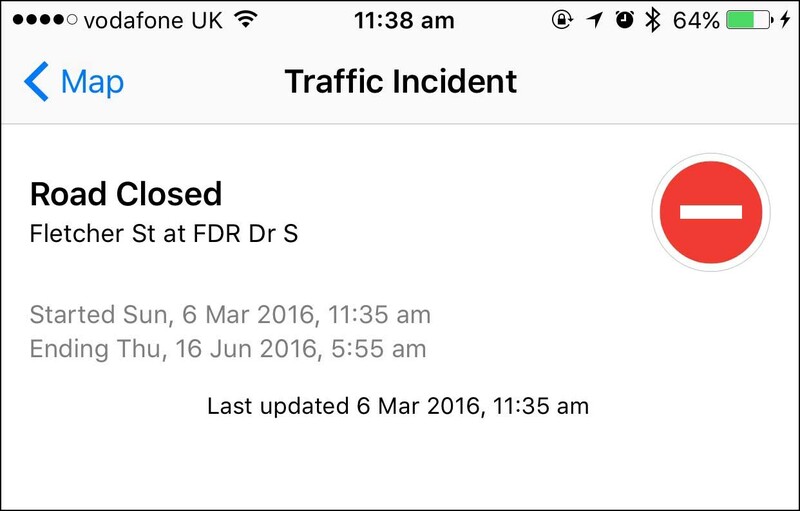 In my tests, asking Siri on the Watch just opened the Maps app and showed the route instructions, regardless of what question was being asked. Have you ever walked or driven somewhere using a route worked out by the Maps app, yet seen something interesting along the way and wanted to make a note of its location? The usual method of noting a place on a map within the Maps app is to drop a pin by tapping and holding the relevant spot; unfortunately, this won’t work when you’re following route-planning directions. The solution is to temporarily switch to the route-overview mode. On an iPhone tap the screen once until the End and Overview options drop down from the top of the screen, then tap the option. In Overview mode the Maps app works like usual – you can use the pinch-to-expand gesture to zoom in on your current location, then tap and hold to drop the pin. Once you’ve finished, tap Resume at the top right of the screen to return to navigation mode. Sometimes when searching for a type of business, two pins will be close together on a map, and tapping each to view their pop-up information can be tricky. One way to do so is to zoom in so that the pins appear farther apart, but an easier way that works at any zoom level is to tap and hold one of the pins so its pop-up appears, and then, ​without lifting your finger​, slide it toward the other pin. That will switch the pop-up to show information about that pin. In fact, this will even work if the pins are far apart—sliding your finger around on the surface of the iPad or iPhone will cause pop-ups to appear above whatever pin is currently beneath your finger. If you activate the Maps app’s traffic mode while navigating (tap the screen, then tap Overview at the top right, then (i) at the bottom right, then select Show Traffic) you’ll see not only any potential jams, but also construction work and road closures. Tapping the icon for these will show a pop-up (see the following figure), and if you then tap the right-facing arrow you’ll see details of the construction projects, including when they started and a proposed end time, if such details are available. Tap and hold the location within the Maps app on the iPad or iPhone so that a pin is dropped, then tap the right-facing arrow to view details of the place. 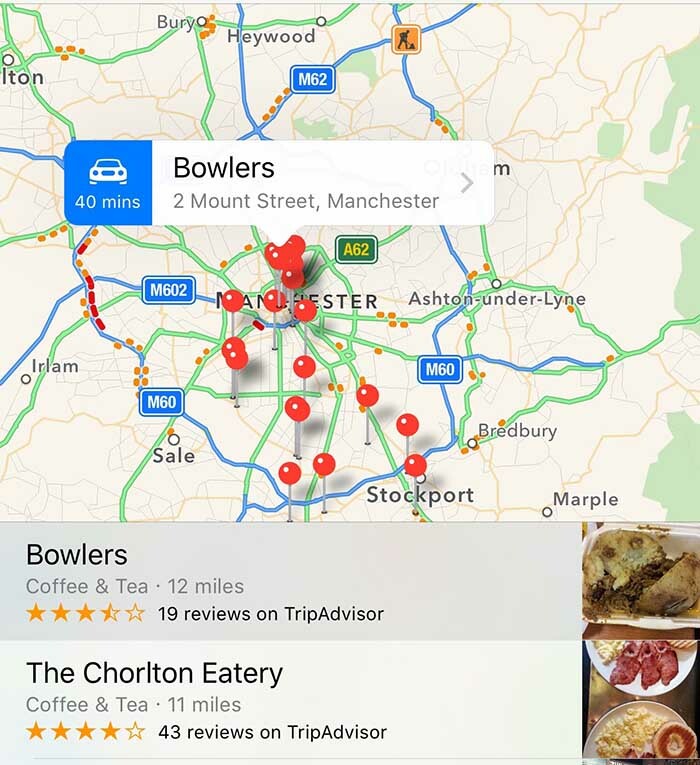 If it’s a business you’ve searched for just tap the red pin, then the right-facing arrow to view details. Then tap the Share icon at the top right of the screen when, and tap Mail. This will open a new email message. Type your own address as the destination, then tap Send. Open the email on the Windows PC, and click the file so it’s downloaded and/or opened. On a Windows 10 PC the contact card will be imported into the Contacts Book app (or Outlook, if you have it installed). In each case the new contact will be called either Dropped Pin, or named after the business you searched for. Open the contact in Windows and look for a line that reads either Map URL or Website, then click the link alongside it. 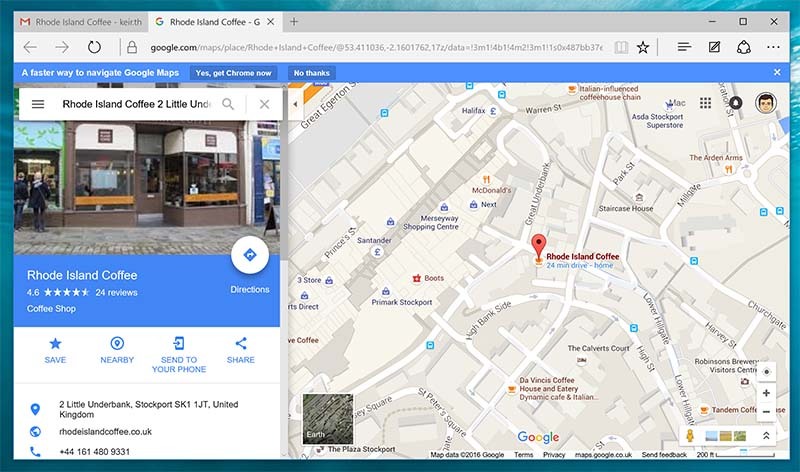 This will open the location on the Google Maps website within the default web browser, even though the address begins with http://maps.apple.com. Linux users can import the contact file into an app of their choosing, although it’s also possible to examine the file using a text editor; the map URL will be listed on a line beginning ​item.URL:​. If you’re driving or walking a route worked out by the Maps app and you want to hear the spoken instructions again for your next turn, just tap the top part of the screen where the instruction is listed. Although of limited use when driving because it would involve taking your attention off the road, when on foot this can be a useful trick if you’re unable to study the map. As far as we can tell there’s no way within the Maps app to discover your latitude and longitude, although it IS possible to type/paste these into the Search field within Maps and have the location displayed. The trick to finding your current co-ordinates is to let the Compass app come to the rescue, however, where the values will be shown at the bottom of the screen. Tapping the figures will open the Maps app and plot the values on a map – which will essentially display your current position! You can also tap and hold the co-ordinates to copy them for pasting elsewhere. If you travel abroad and use your iPad or iPhone for directions, the Maps app will very sensibly label destinations in English rather than the native language. In Germany you’ll see Cologne rather than Koln, for example. As useful as it might sound, this can cause confusion when traveling – local signage won’t match up with what you see in your directions, and any non-English speaker to whom you show your device might find it difficult to understand. Luckily there’s a solution: open the Settings app and scroll down to Maps on the left. Tap it, and then deactivate the switch that reads Always in English under the Map Labels heading. When you switch back to Maps you should find everything is instantly redrawn in the language of the country in question. Any pins you drop will still show English addresses, however, and regardless of the setting of the switch you should be able to search for places using both English and local names. Repeat the preceding step if you later wish to return Maps to default to English.